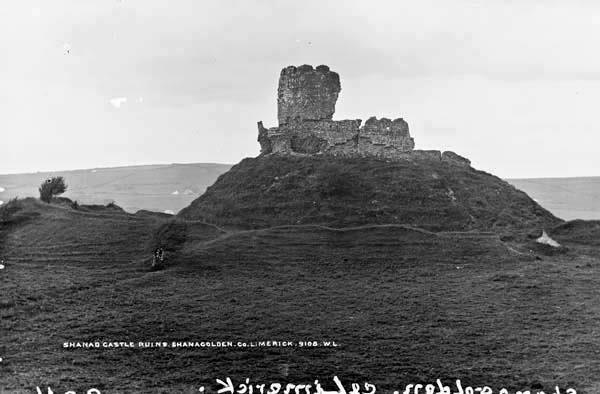 Shanid Castle is in Shanid Upper, SW of Shanagolden, Co.Limerick. See satellite view. 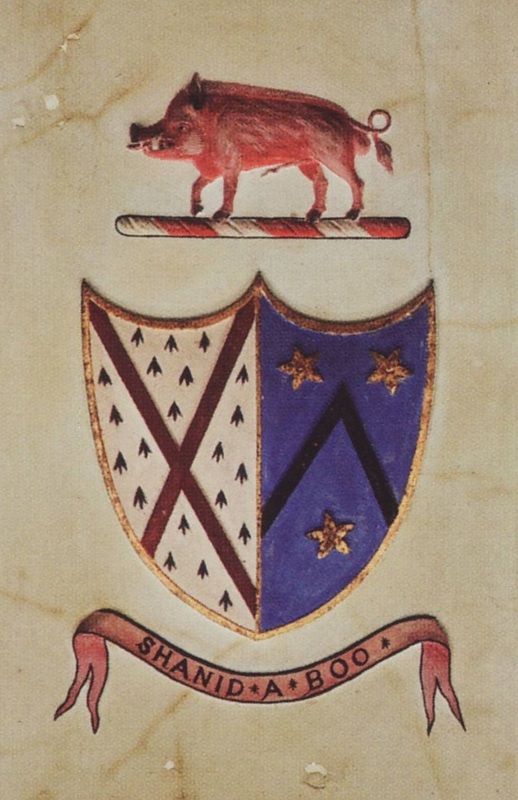 Shanid was granted to Thomas Fitzgerald 1197. He built Shanid Castle 1200. 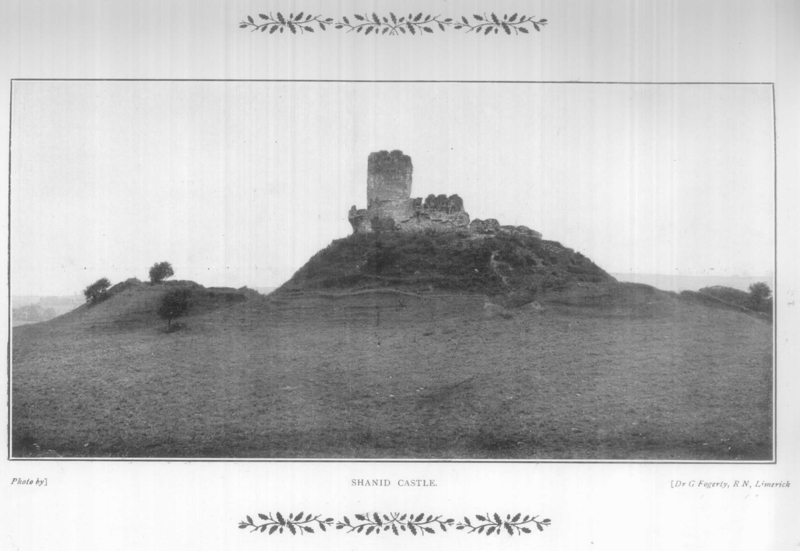 Shanid Castle was seat of Baron Desmond. 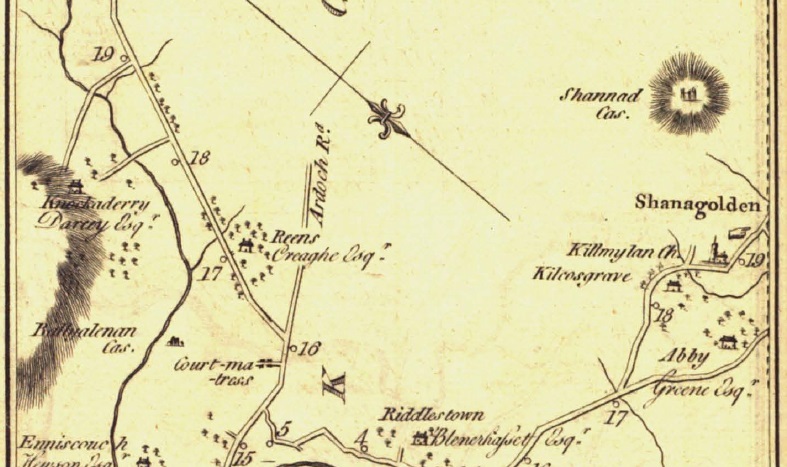 It was occupied at times by both of the main Desmond branches, the Earls of Desmond and the Knights of Glin. It was destroyed in the 1641 Rebellion. 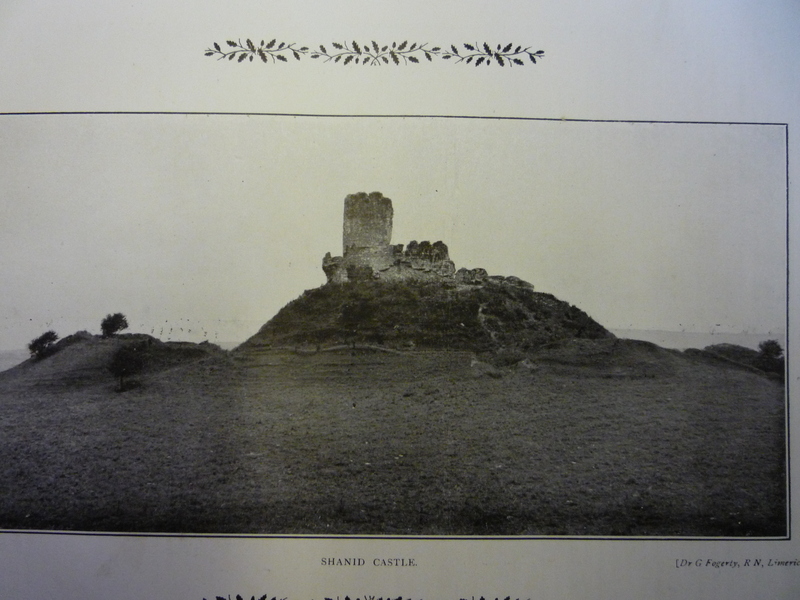 The ruin of Shanid Castle and the land around it was held by the Nolan family as at [Griffiths Valuation, 1852]. The ruin is S of the Nolan house, Waterpark House. 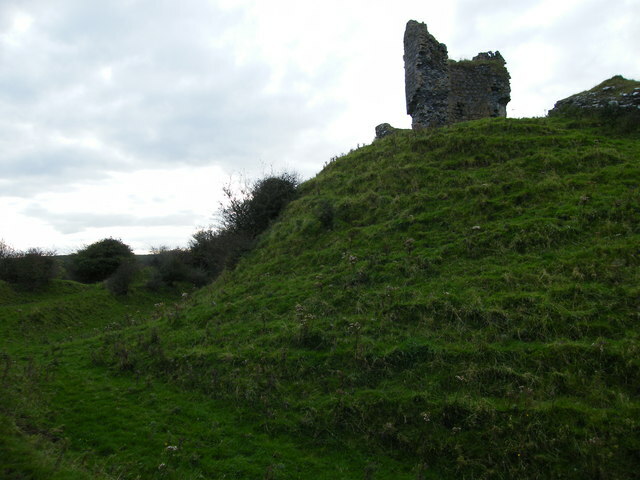 Shanid Castle is still owned by the Nolan family today. 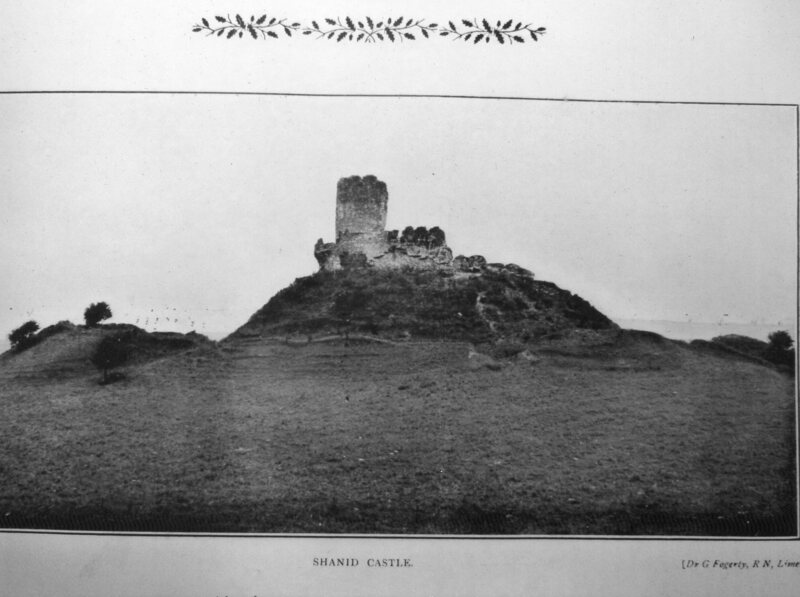 Shanid Castle on p.104 of [Taylor and Skinner, 1777]. 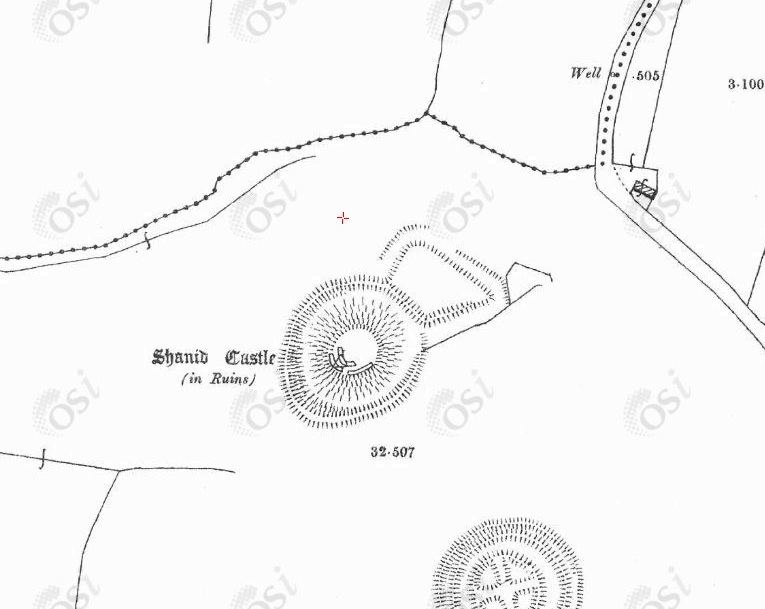 Shanid Castle on 1887 to 1913 map. From Rathkeale & District Historical Society. The Mungret Annual, 1912-1916. Mungret College, Limerick. [Donovan, 2010] says this photo is 1906. See other copy and other copy. 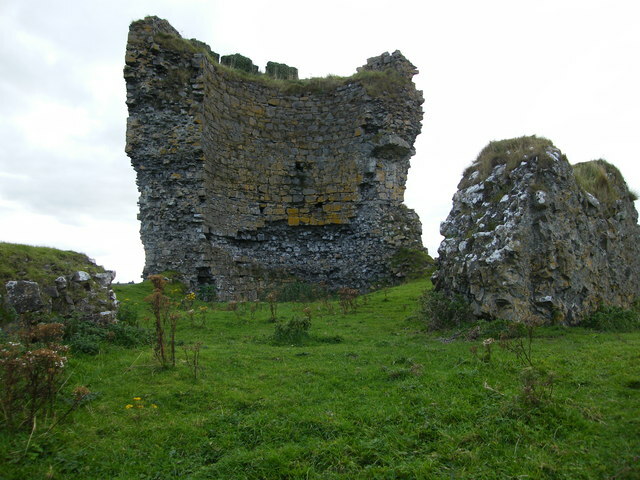 The ruin of Shanid Castle. Photo 2006. From Brian W. Carver. Creative Commons. 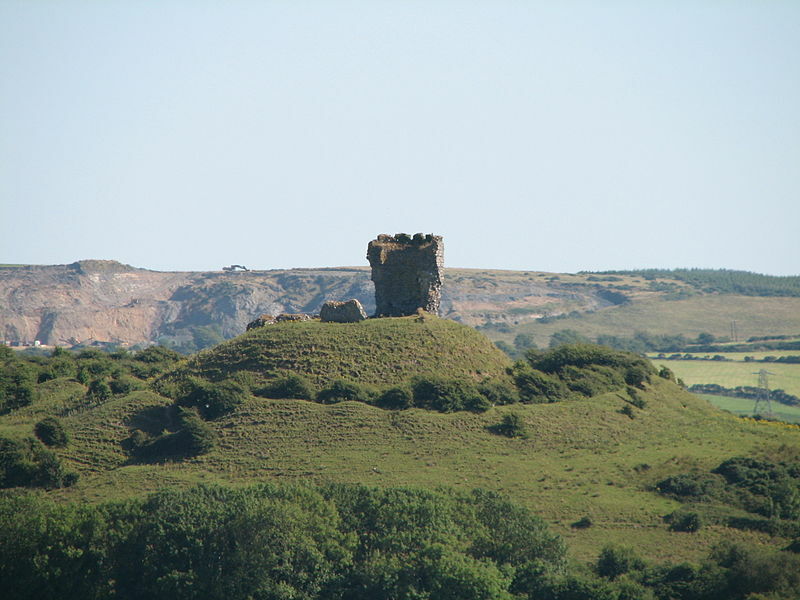 Shanid Castle. Photo 2009 from Geograph. 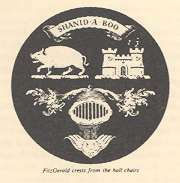 The war-cry and motto of the Earls of Desmond and Knights of Glin was "Shanid Abu" (or "Shanid Aboo"), meaning "Shanid Forever" in old Irish, since Shanid Castle was the first and oldest Desmond castle. "Abu" in An Irish-English dictionary (1864). 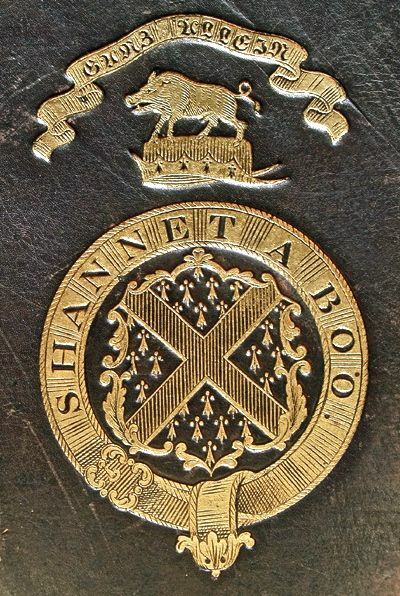 "SHANNET A BOO" on the arms of John Fitzgerald, Knight of Glin (born 1791). "SHANID A BOO" on the hall ceiling at Glin Castle. From [Glin and Peill, 2010]. "SHANID A BOO" at Glin Castle.